Oggi ho partecipato alla mia prima lezione di Samba con RioLIVE! E’ stata un esperienza molto divertente e Castrinho e’ stato cosi’ bravo a togliere le mie difficolta’ di coordinamento col ritmo veloce 😀 Ora sono pronto per il prossimo Carnevale di Rio! Last Tuesday we had a lot of samba at Copacabana. 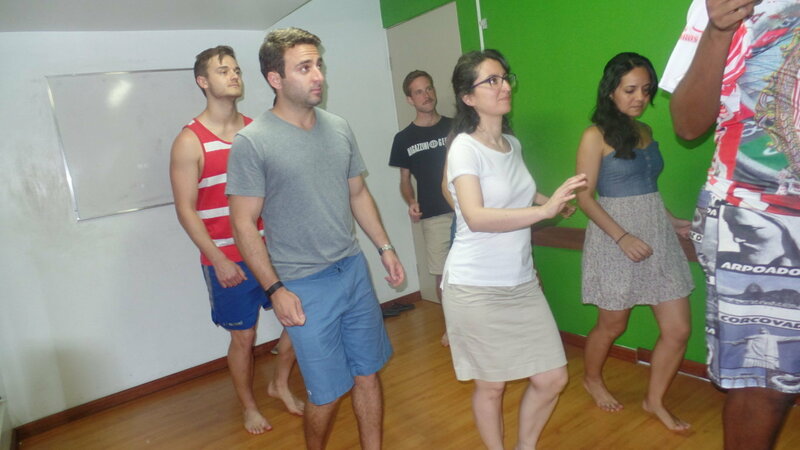 Our Portuguese students were very excited about learning their first samba steps, one of the most famous rhythms in Brazil, mainly Rio de Janeiro. Before we started our RioLIVE! Activity, our students asked a lot of questions about Samba and also about Carnival, since our teacher Castro always dances in the Carnival parade. At the beginning of our activity, the students were shy, but that changed quickly, and at the end they were all very excited and engaged. 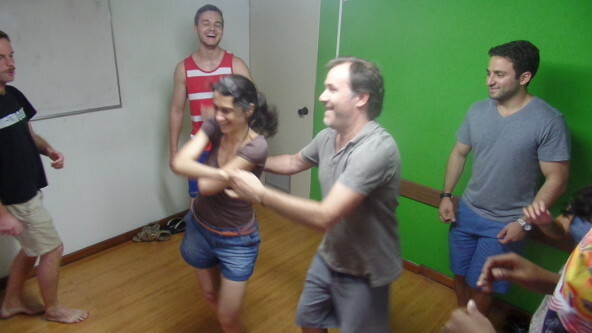 Many say that dancing samba is something practically impossible, but the group of students showed that it doesn’t have to be that hard since after only an hour in our class they risked some Samba moves. 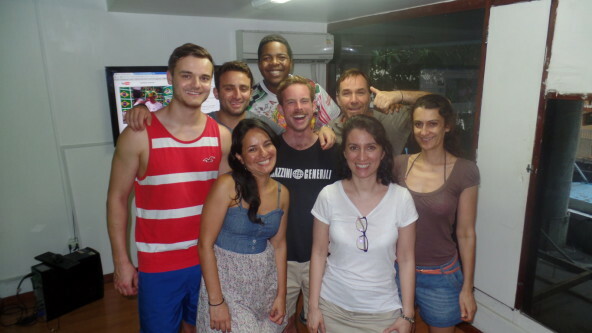 To finish our fun afternoon of Samba at Copacabana, we did a Rio & Learn roda de samba and all the students showed their new skills. 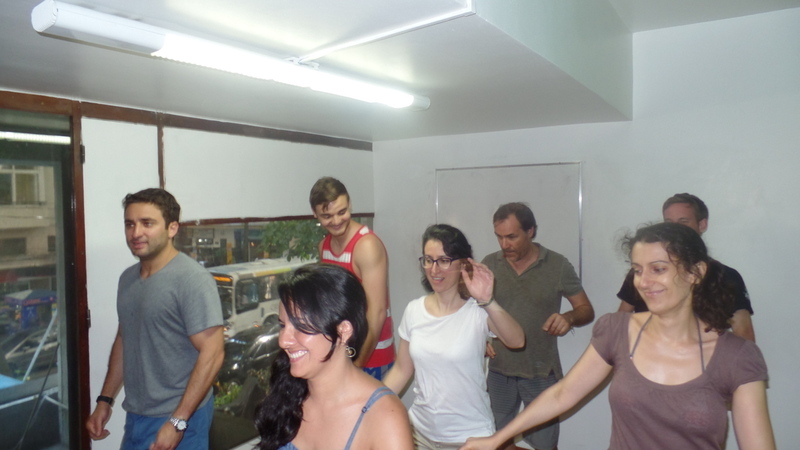 It was a very interesting Samba class. Let the next Carnival come! Come have fun and learn Portuguese at Rio & Learn taking part in our RioLIVE! Activities.